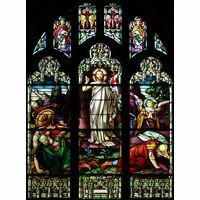 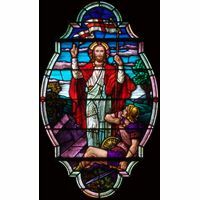 The stained glass window depicts the resurrection of Christ with three women all named Mary: Mary Magdalene, Mary of Jacob and Mary Salome, also known as Salome. 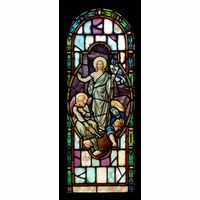 The window is based on Matthew 28. 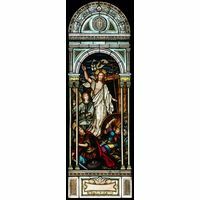 It says that Mary Magdalene and the other Mary had gone to the tomb. 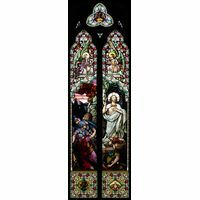 Luke 24 talks of Mary Magdalene and Joanna and Mary of Jacob as well as other women. 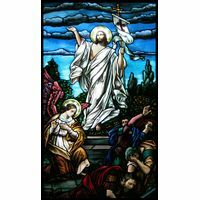 Women are depicted as visiting the tomb early on Easter morning and finding the resurrection of Christ. 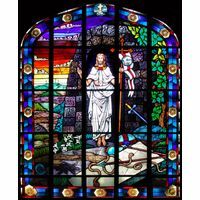 This lovely stained glass window depicts an early dawn morning. 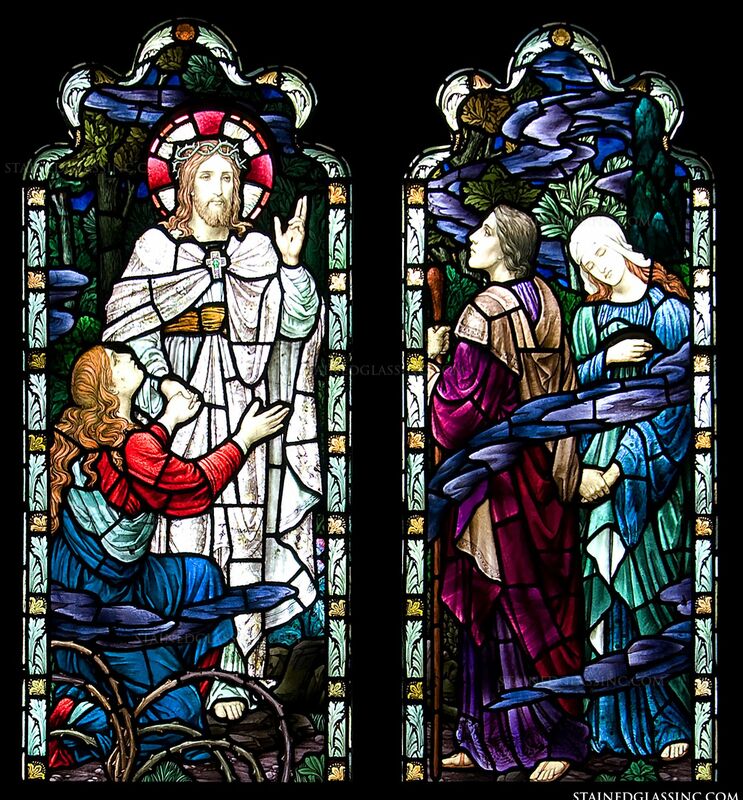 Mary Magdalene kneels at Christ's feet while the other Marys’ stand nearby. 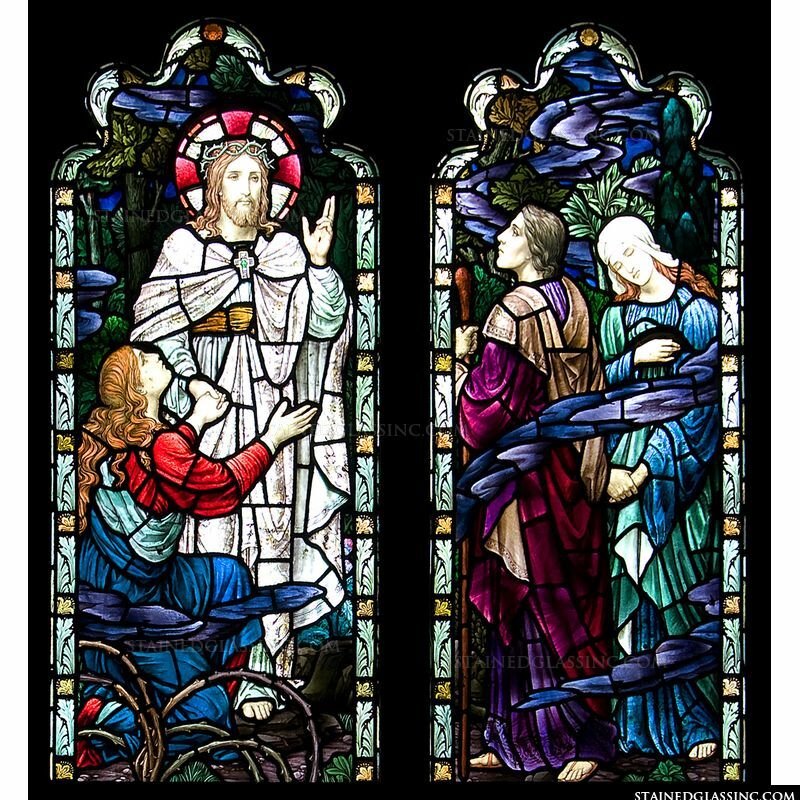 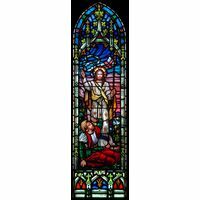 A beautiful window for a church or chapel.